Jet Pilot Mens RX Race Jacket in Navy/Gold is a supple wetsuit top suitable for Jet Skiing and all other forms of surface water sports. 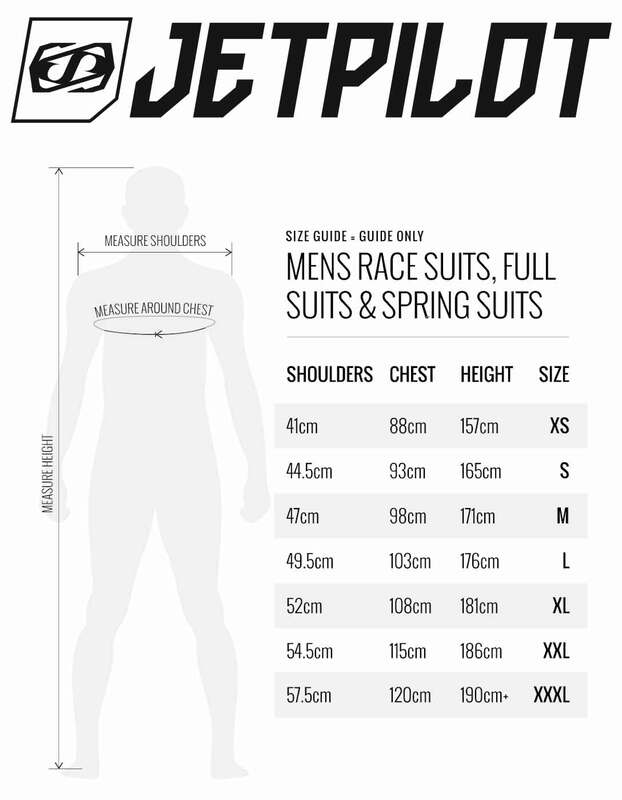 The full length front zip is the easiest entry system to a wetsuit top and has the added bonus of allowing you to regulate your heat by zipping up/down the zip to increase air flow - YKK! To get the most out of your Jet Pilot Mens RX Race Jacket we recommend washing it with Wetsuit Wash & reading our maintenance guide. 360 Stretch Neoprene: About as supple as neoprene gets thanks to a higher cell-volume than we typically see - get more info on neoprene. 100% Super Strong Flush Loc Seams: Highly durable but you get more info here.